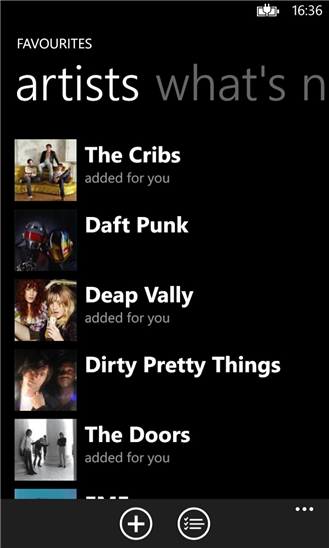 Nokia Lumia smartphone users get some great exclusive apps, one of which is Nokia Music. This free music streaming service allows unlimited local and international music to be streamed on your phone without any ads, and even lets you download songs for free. One of its signature features is Mix Radio, a premixed collection of songs sorted by genre, artist, language or many such other criteria that can be played both online and offline. Ahead of its full reveal, Nokia has launched a complete revamp of the Nokia Music app, now called Nokia MixRadio, after its most used feature. Here’s the lowdown! Nokia MixRadio – What’s new? So once you get the update, the first thing you’ll notice is the completely overhauled interface and live tile/icon. Slightly creepy smiley face on the tile and icon aside, the app interface itself is very good looking. Oh in case you didn’t notice, the smiley face upside down is also a set of headphones, amusing. Previous users of Nokia Music will feel right at home, as the core functionality remains pretty much the same, it’s just that it now completely focuses on the Mix Radio part. You can listen to millions of songs from thousands of artists as part of mixes, or you can just set favorite artists to get specific mixes as well as all information about them, including biographies, images, updates, alerts and albums. The new feature in this app is called “Play Me”, a personalized mix that is created based on your favorite artists, and similar music to theirs. There’s also a new thumbs up/thumbs down feature that lets you rate songs so that the Play Me mix caters to your exact aural needs. As before, you can also create your own mix of songs, and MixRadio lets you share your mixes via Facebook, Twitter, email and SMS. 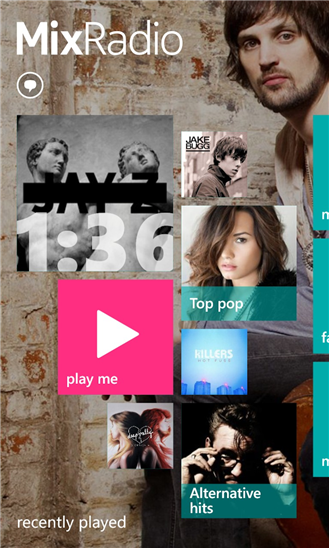 The Nokia MixRadio app is also available for Windows 8/Windows 8.1, you can grab it from the Windows Store from here. Nokia Lumia users can find the app in the Nokia Collection, or follow this link to download it. Happy listening!